Using the theme page builder anyone can easily create the perfect website for their needs. 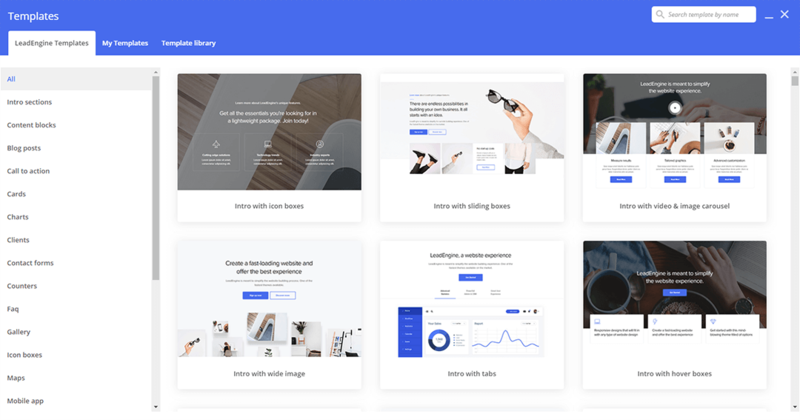 With over 200 original designed template blocks that you can browse through and import directly onto your page, LeadEngine allows you to design stunning pages on the front-end of your website in real time. Navigate to Dashboard > Pages > select a page that needs editing > add template blocks directly into your page by clicking the Add Block button. To add a template block onto your page, simply click on one block and it will be added automatically to your page. The template blocks can be further customized and arranged in any number of ways. Each shortcode comes with it’s own settings tab where you can easily customize the content and design without having to touch a single line of code. Get a live preview of changes you are making right inside the front-end editor. Note: to use Blog, Shop, Portfolio and Contact template blocks, we recommend installing the theme sample data first. LeadEngine is meant to simplify the website building experience. Purchase on ThemeForest today!